Moving Day is the story of a young girl named Allie and the emotions she faces when her family moves to a new house. The book is reviewed by Melissa Y. at Sweet on Books. • This book is a story about life told from a nine-year old girl’s perspective, no holds barred. • 8,9,10 year old girls will eat this book up because of that honesty, they will hear and see themselves in Allie. third grade, a mean girl, a little boys car accident and friendship situations. little girls can stay true to themselves, albeit with mistakes made along the way (see honesty above). This is the beginning of a new series from the prolific author, Meg Cabot. This is a departure for Cabot in terms of the age of the audience she is writing for, this being her youngest effort for far, so there should be no worry that it is on the maturity level of her teen reads. The series revolves around nine-year old Allie and her family, which includes mom, dad and two annoying little brothers. Allie finds a lot in life unfair, and decides the way to figure it out is to make a list of rules to deal with all the situations she is put in (moving, being the new girl, best friends, drama queens, etc). Allie Finkle’s family is about to make her move to a new house (that’s creepy), start a new school in the middle of the year (! ), and leave her best friend (even if she’s a crybaby). 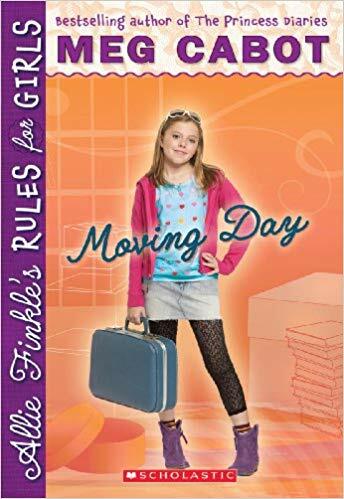 Allie, even before she gets the news she is moving, is having a hard time relating to friends, so she creates a book of rules to remind herself of how to behave. The rules run the gamut from, “don’t eat anything red,” to “treat your friends the way you’d want them to treat you,” to “If someone is yelling, the polite thing to do is yell back.” Allie stumbles through her last days in her beloved old house and old school and readies herself, albeit reluctantly and not without disaster, for her new house and new school. 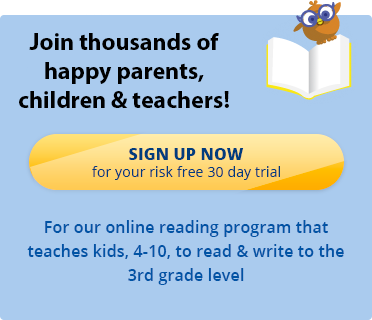 Your child will learn to read books like Moving Day with Reading Kingdom. Sign up today for a free 30 day trial.